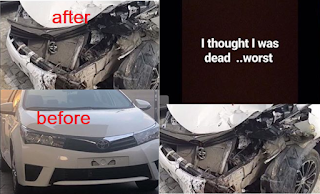 Barely 3 months Khloe received a car gift from Nigerian football star Obafemi Martins, the BBNaija star crashes the vehicle in a horrible accident. Khloe survived an accident in the car she got as a gift few months ago from ace Nigerian footballer, Obafemi Martins. Satan you failed again. Give up or all your agents will die in my space. 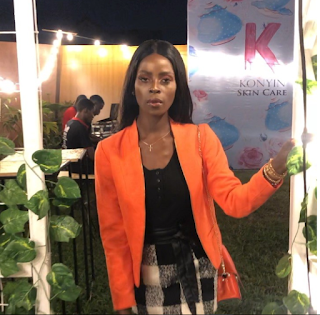 Three months earlier, the Big Brother Nigeria 2018 star got the car as gift from Obafemi Martins, had shared her excitement with her followers few months ago as she disclosed that depended on her brother’s car to move around Lagos.